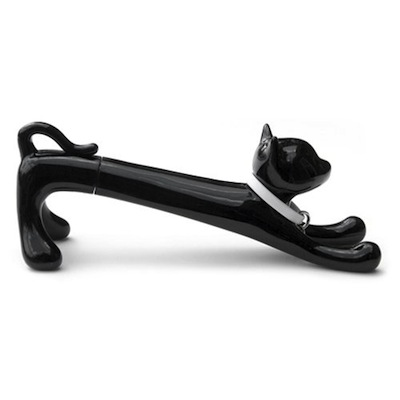 Cat Desk Pen in Black. Keep your feline friend at your desk! Sturdy plastic body with flexible collar and bell. Black, refillable ballpoint, use Xonex refill #31044. Size: 4.25".